Aarsun Woods brings a wide range of wooden arm chair made from Teak Wood. You can’t live without home furniture inside your home. The wooden chair is required furniture for every home. The wooden chair is designed absolutely based on its useful purpose. 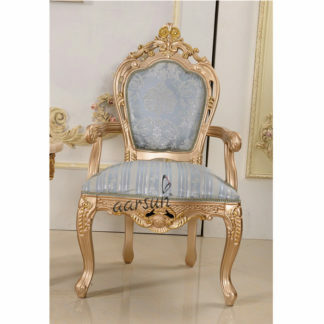 This beautiful chair consist of floral carving. The wooden chair arms is more comfortable holding your arms nicely. This chair has got a relaxed backrest. If you want a beautiful chair inside your living room then you should choose Aarsun woods Teak arm chair. 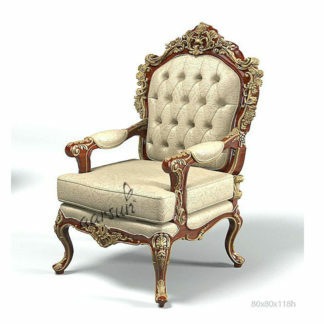 For different wood and designs, have a look at : Teak Wooden Chair, we recommend you to have a look at Designer Wooden Arm Chair.